KINGAROY police have seen as many as 15 domestic violence call outs in a week. Officer in charge Senior Sergeant David Tierney said the number of domestic violence incidents varies throughout the year, with Christmas Holiday periods, weekends and other holiday periods often seeing a bigger spike in numbers. "We would probably average five to seven calls a week, but have had weeks this year where we have had as many as 15 or as few as two," he said. 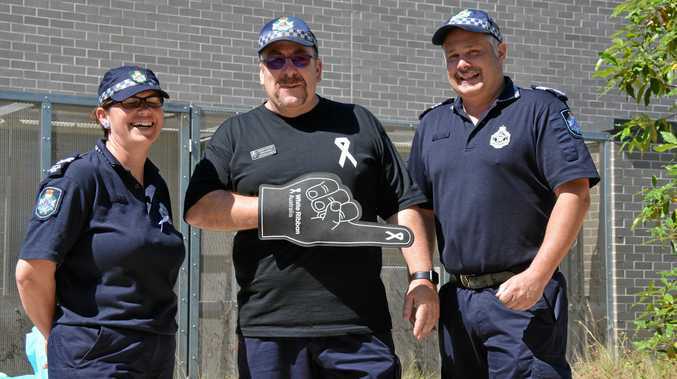 This comes after new data released by the Queensland Police Service revealed more than 28,209 domestic violence breaches were recorded across Queensland in the past 12 months up to February 2019. The data revealed a 10.2 per cent rise in breaches across the state compared to February 2018. Snr Sgt Tierney said de-stigmatising DV should be a priority, with people being called survivors rather than victims. "Unfortunately in a lot of homes children are seeing DV and think it is just part of life," he said. Snr Sgt Tierney said it was fair to say the reported DV matters were on the rise, however changes in the ways domestic violence were reported has also led to an increase in these figures. "DV violence like most other crime and anti-social behaviour is probably a bigger issue in general in lower socio-economic areas, but it still effects all parts of society and is probably more reported in lower socio-economic areas than other areas," he said. The officer in charge observed calls for service have been increasing and becoming more frequent. "However, with greater education of both police and the public on indicators of DV also leads to more reported instances," Snr Sgt Tierney said. Education and awareness is the key to encouraging people to seek help and take a stand against domestic violence. "Our support services here are terrific in working with DV survivors and in encouraging them to take action," he said. Changes in legislation has also led to greater reporting instances of DV, with police given more power. These realities will always be the case unless there is a cultural change in society towards domestic violence. "Not just the offenders (who can be both men and women) need to change their behaviour but their families and friends need to step up," Snr Sgt Tierney said. "It's time for everyone to step up and draw a line in the sand and say no to DV."